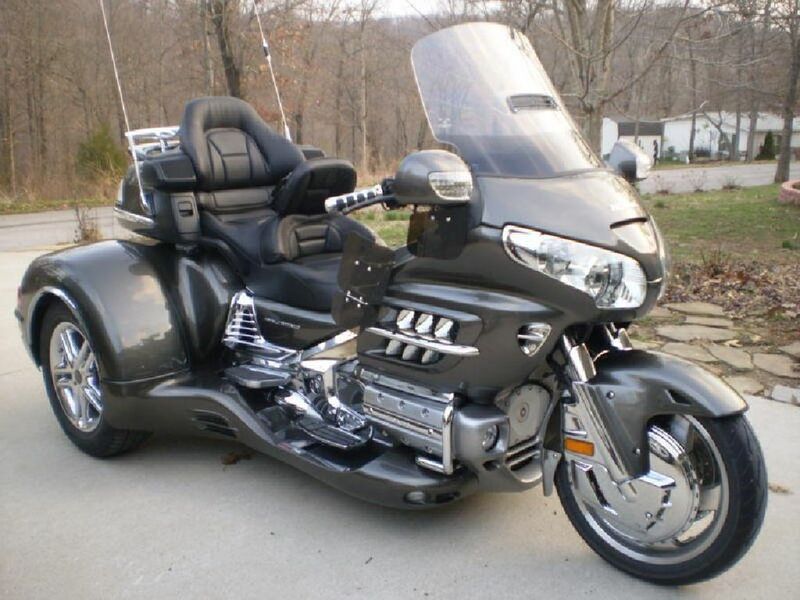 Premium2010 Goldwing with Cobra trike conversion by California Side Car. Ground effects, independent suspension, disc brakes integrated with the OEM linked braking system. Navigation model, heel/toe shifter, centramatic wheel balaancer, luggage rack, heated seat and grips, Utopia backrest.